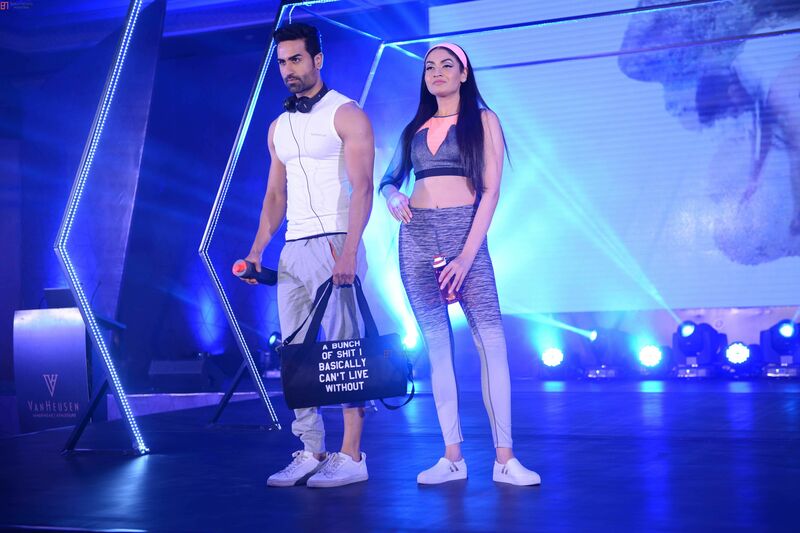 India-based fashion retail company, Aditya Birla Fashion and Retail Limited (ABFRL) launched its first collection in the women’s athleisure and innerwear segment, recently incorporated, with a fashion show marking its entry in the city of Mumbai under the brand name, Van Heusen. The fashion show showcased Van Heusen’s wide range of lingerie, athleisure and lounge collection. Keeping the comfort and fit as priority each piece is designed with precision and perfection ensuring all-day comfort for the wearer. Notably, Van Heusen ventured into the Rs. 16,000 crore (US $ 2.25 billion)-plus women’s innerwear and athleisure market in India last year. The latest fashion collection comprises of a mix of high-quality cotton, polyamides, modal etc. featuring straps, laces as well as elastics of most premium quality. Puneet Kumar Malik, CEO, Innerwear Business, ABFRL commented on the launch saying that the brand, Van Heusen, has established a strong presence across the country through its premium and innovative range of innerwear and athleisure. The fashion brand is targeting to expand the woman’s innerwear and athleisure range in 5-7 key markets in the current fiscal year with EBOs (exclusive Basic Outlets). Malik has also explained that their thorough market research has shown a growing brand consciousness among the Indian women. “Indian women are looking for innerwear that offers comfort, fit and value. We are confident that our women consumers will appreciate this new offering which is crafted with sleek precision that compliments a trendy design,” he added. The glamorous fashion show captivated the audience offering a sneak peek into the wide range of Van Heusen Lingerie, Athleisure and Lounge collection.